decompression surgery. He has compartment syndrome. that’s a medical emerrgency. A, (my answer) for CRPS, every single finding fits the diagnostic criteria for CRPS. B, I don’t know what we are trying to do here? Maybe, we are trying to treat an underlying closed fracture?, but with swelling, cast is contraindicated until swelling subsides? No where in the history is it mentioned that this patient sustained a closed fracture. Even then, this is not the treatment. 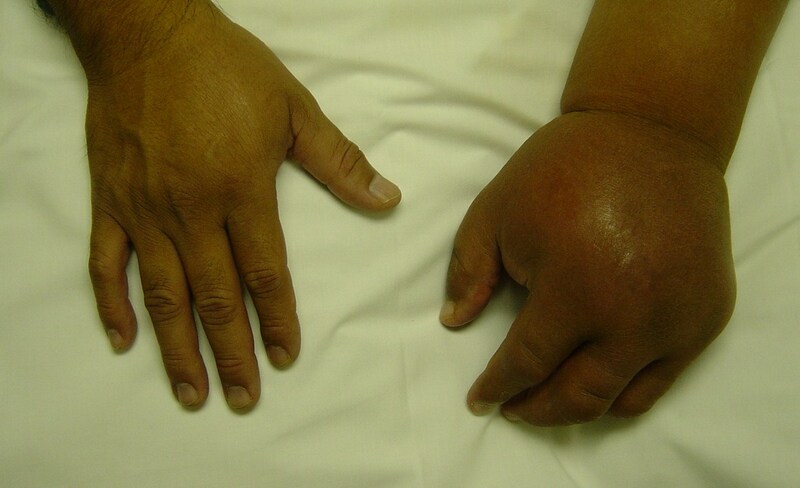 D, acute arterial occlusion, swollen hand and tenderness to touch are very non-traditional. How many times have we seen acute arterial occlusion with swelling and this in a patient who shouts every time you touch his hand? It will be very unusual to see this unless it is reactive hyperrhemia in which case, the limb will not be cold and what exactly dislodged the occlusion without surgery? Where did the atheroma go? E, Raynaud’s phenomenon, tender to touch? No. Reactive hyperrhemia, tender to touch, yes. But the latter will lead to a red warm hand, not a cold pale hand. what is the answer Dr Red????? ?